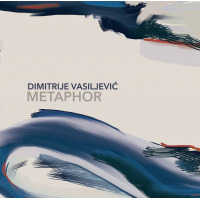 On the occasion of the European Month of Culture, pianist and composer Dimitrije Vasiljevic will perform in Washington, D.C. in a solo piano concert presented by the John F. Kennedy Center for the Performing Arts in collaboration with the Embassy of Serbia in the United States and LeitmotivArts. Vasiljevic will perform his original compositions from his upcoming solo piano album as well as works of some well-known American jazz masters in his own arrangements. Prior to moving to the United States in 2007, Vasiljevic was a member of prominent jazz ensembles and performed throughout Europe. He is performing extensively at renowned jazz clubs and concert halls in New York City. Following a very successful debut at Carnegie Hall in March 2014, he recently participated in the International Jazz Day celebration with a piano concert at the United Nations Headquarters on April 30. A Serbia native, this Berklee College of Music and the NYU Steinhardt School graduate will begin doctoral studies at the Jazz Division of the University of Illinois School of Music in the fall this year. 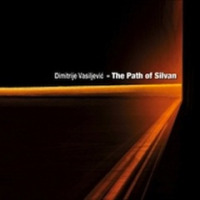 Vasiljevic released his debut album as a leader The Path of Silvan" consisting entirely of his original compositions and he is currently working on a solo piano album. The concert takes place at the Millennium Stage on Monday 12 May, beginning at 6.00pm.